One of the purposes of the Shrewsbury Garden Club is to carry out projects contributing toward the beautification of the town of Shrewsbury. To that end, we plant and maintain flower beds at the intersection of Main and Maple, at the Town Hall, and in addition we sponsor the “Adopt-a-Plot” program and encourage and reward businesses and residents to beautify Shrewsbury with our “Iris Award “for Community Beautification. Our Adopt-A-Plot program has been very successful thanks to our Community Projects Committee. 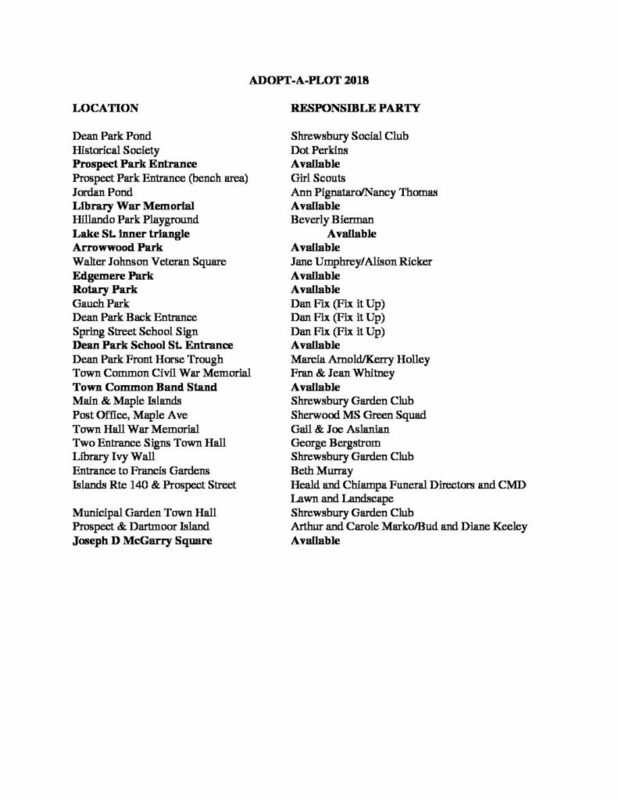 The following is a list of current locations and participants. If you are interested or know anyone who would like to get involved please contact us through the Contact Us link. 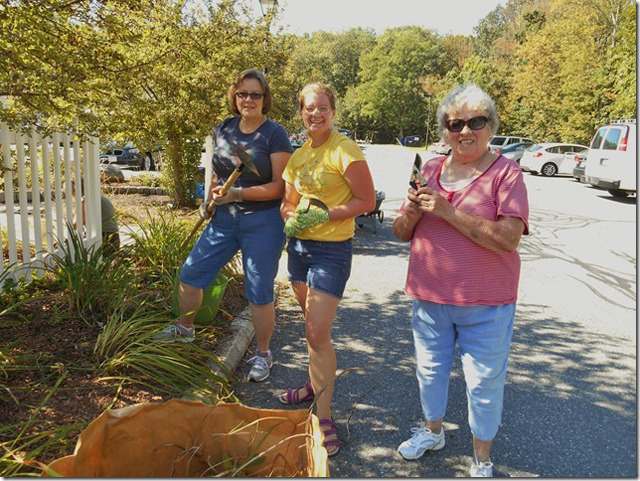 Thanks to all SGC members and residents for their time and efforts to make our community more beautiful.